We’ve received several questions this week about a new national ranking that gives Idaho high marks for college readiness. We looked for answers. The math remains a mystery. According to the article, 55.2 percent of Idaho students were “college-ready,” because they hit benchmark scores on the 2017 ACT or SAT. That number didn’t square with some readers. So we looked into the 2017 scores, and here’s what we learned. On the SAT, 63 percent of graduates hit the benchmark on the verbal section, 36 percent hit the benchmark in math, and 34 percent hit the benchmark on both sections. On the ACT, Idaho scores also varied widely. Graduates fared best on the English section of the test, with 73 percent of students hitting the benchmark. Meanwhile, 58 percent of graduates hit the benchmark in reading, 50 percent reached the math benchmark and 45 percent met the science benchmark. All told, 34 percent of graduates met the benchmark in all four sections of the test. That’s a lot of numbers. But none of them are 55.2 percent, U.S. News and World Report’s number. There’s no easy way to massage the math and get there. While 34 percent of Idaho graduates hit the two SAT benchmarks, and 34 percent met the four ACT benchmarks, that doesn’t tell you how many students hit benchmarks on at least one test. There is surely some overlap — students who took both tests, and did well. How much overlap? Hard to say. We know that 93 percent of Idaho graduates took the SAT — a number that is inflated because high school juniors can take the test in April, at taxpayer expense. Meanwhile, 38 percent of Idaho graduates took the ACT. To make a long blog post short, the arithmetic behind that 55.2 percent figure remains unclear. We asked for an explanation from U.S. News and World Report and from McKinsey and Co., the consulting firm that works on the magazine’s state rankings. We have received no response. If we get an explanation, we’ll add to this post, or write another followup. 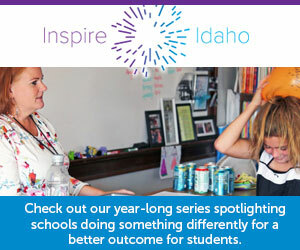 Idaho Education News data analyst Randy Schrader contributed to this post. However, only 38 percent of Idaho high school seniors took the college placement test. Nationally, 60 percent of seniors take the ACT.